The 9.7 inch screen of the Apple iPad with LED and LCD back lit display allures the user to read books virtually on the iPad device whenever and wherever he wants. The iPad's crystal display and reflective technology reduces stress on eyes and lets you have a pleasurable reading experience. This gives this device an edge over others in the market especially in the field of iPad eBook Application Development. Using all the above cited features, we help you publish your eBooks on the iPad through our iPad eBook Publishing Application Development service. Also, the technological advancement through the iPad device and eBook publishing has resulted in creation of iBook apps that take the entire virtual book reading to new heights. IADI(iPhone Application Development India) has talented and dedicated iPad eBook Application Developer who develop interesting and enthralling eBooks and iBooks with a rich look and feel so that clients can reap maximum benefits from eBooks developed for the iPad platform. With minimum glitches, they create eBooks that treble the pleasure of reading on the iPad devices and increase readership of your eBook. 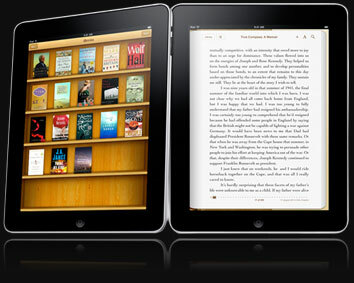 We provide iPad eBook publication services across the globe. From our offshore development center in India, select from high class designs and layouts for your own eBook at an unbelievable price. Our iPad Book Publishing Application Development team members are committed to your cause in producing top quality customized iPad eBook. IADI helps you to realize your dream of publishing your book in the eBook format in a simplified way. Contact us to know more regarding our service.